New Orleans, LA, USA, July 2007. 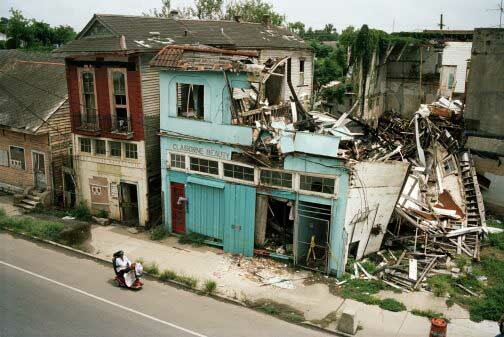 Clairborne Avenue, two years after Katrina.Most of the insurance compagny didn't pay the compensation and most of the owner will be soon expropriate. New Orleans, LA, USA, July 2007. New Orleans, LA, USA, July 2007. When she arrive in 2006 with her husband Maggie Carroll didn't want to carry a gun. They were against this idea. But they went to get the licence and bought one each of then. New Orleans became the most dangerous city of the USA New Orleans, LA, USA, July 2007. New Orleans, LA, USA, July 2007. Central City in the Melhomene project, the children don't have any more, school and game area, they walk alone between the building all day long, playing with the police. New Orleans, LA, USA, July 2007. New Orleans, LA, USA, July 2007. Jeffersons Gun and Outlet in Metairie. 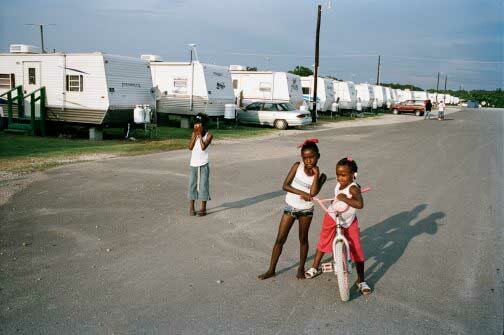 Since Katrina the insecurity is increasing by pourcent and more and more people decide to carry a gun. 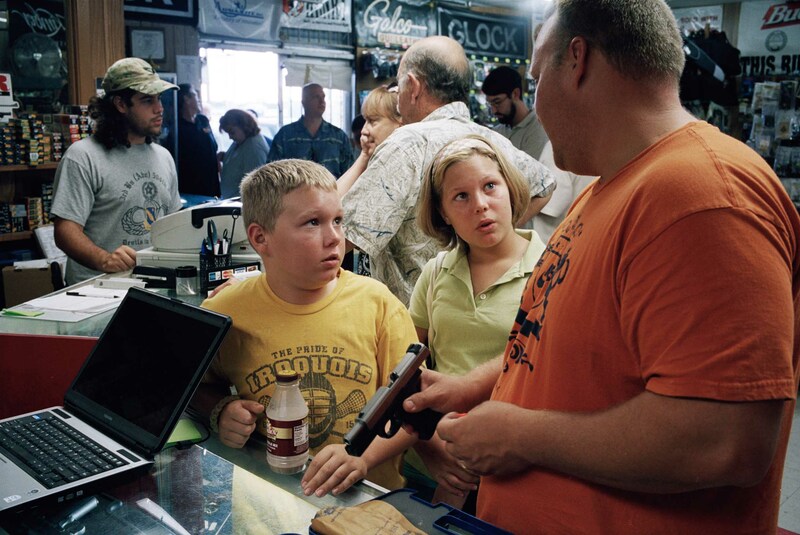 This father came to buy a new gun, a good opportunity to familiarize his children to the weapons. 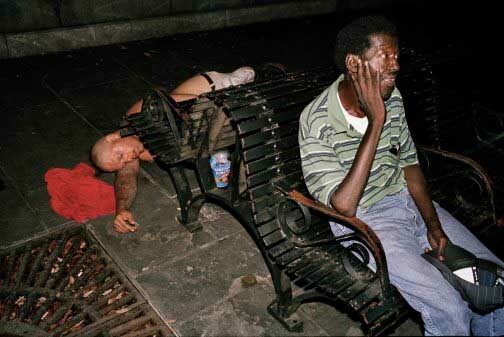 New Orleans, LA, USA, July 2007. New Orleans, LA, USA, July 2007. 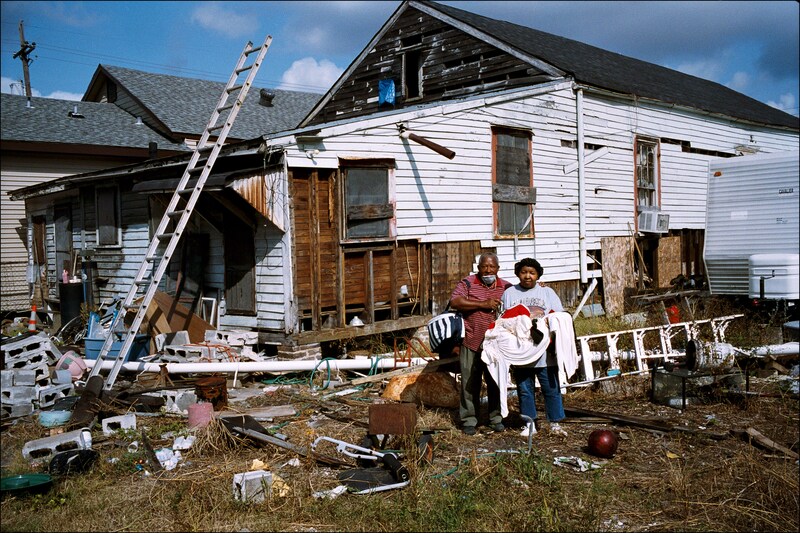 The Crime Abatment Team was created in October 2006 to stop an strong increasing of the criminality after Katrina. This boys where caught with crack, cocaïne,extasy. New Orleans, LA, USA, July 2007. New Orleans, LA, USA, July 2007. Half of the population didn't return two years later. A part of the business, bar, shop are still devasted. Most of the insurance compagny didn't pay the compensation and most of the owner will be soon expropriate. 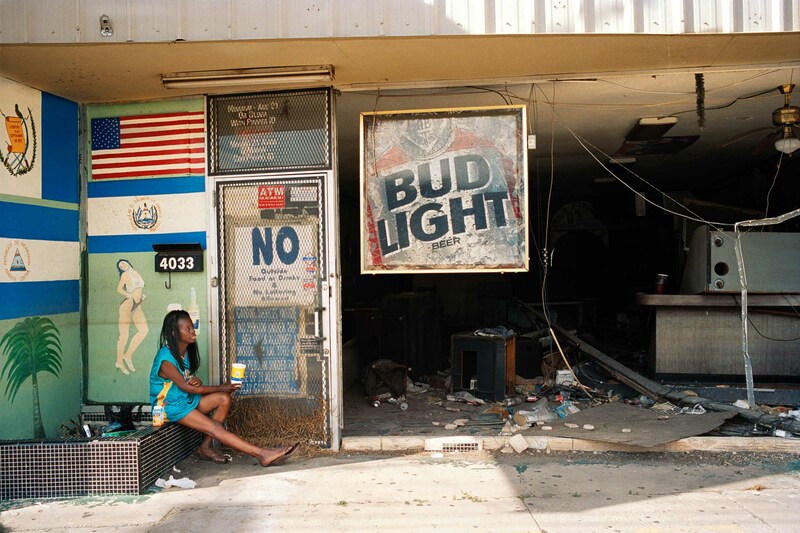 New Orleans, LA, USA, July 2007. New Orleans, LA, USA, July 2007. 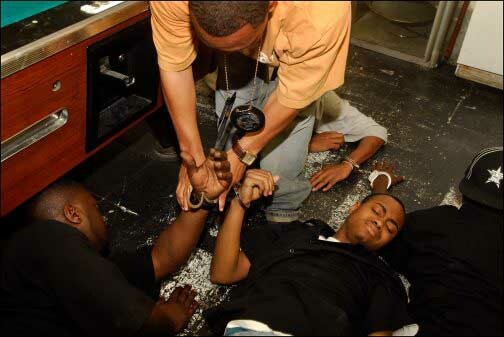 The Cobbins family in the stair cage of theyr project in Melphonene, one of the roughest place of the town, in the mild Trish,15, just had a baby but as for her mother, the father run away. Violence, drug, unemployment push a lot the men to run away, the womens built a new and female family with the grand mother, mother, sister, aunt. New Orleans, LA, USA, July 2007. New Orleans, LA, USA, July 2007. 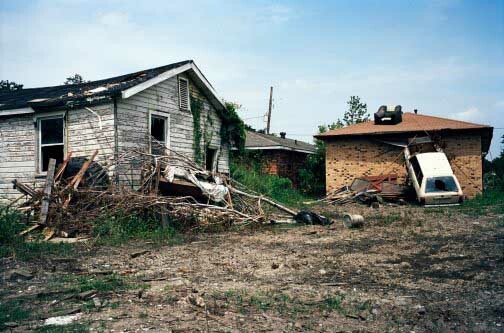 In the 7Th ward, one of the poorest area and probably the most damaged in the city. Two years later nothing move. 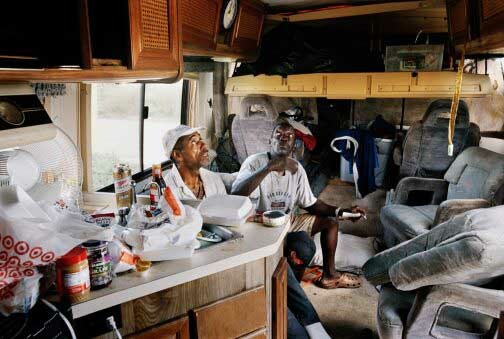 Noboby will come back to leave here, the family lost every thing and leave now in a FEMA trailer. This area will be a perfect background for the Hollywood productions. 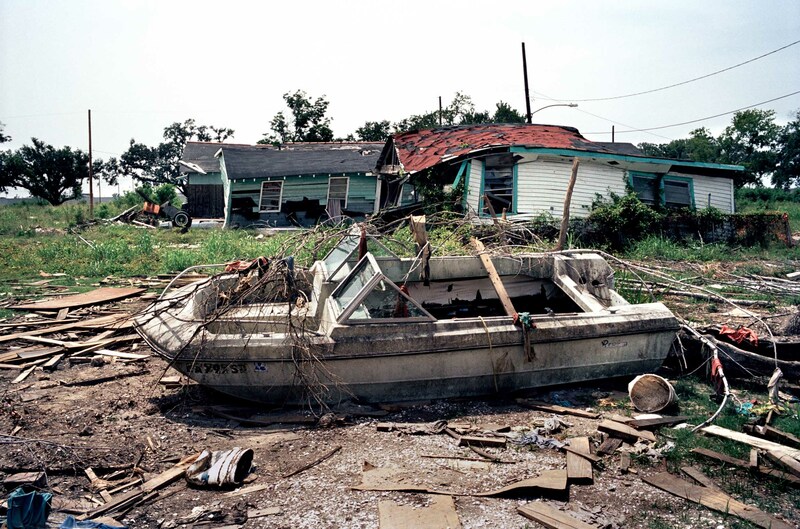 New Orleans, LA, USA, July 2007. New Orleans, LA, USA, July 2007. Two years after Katrina, only the economical center and the touristical area have been seriously rebuilt. The road, the school, the Police and Fire departement are still working in a very basic situation New Orleans, LA, USA, July 2007. 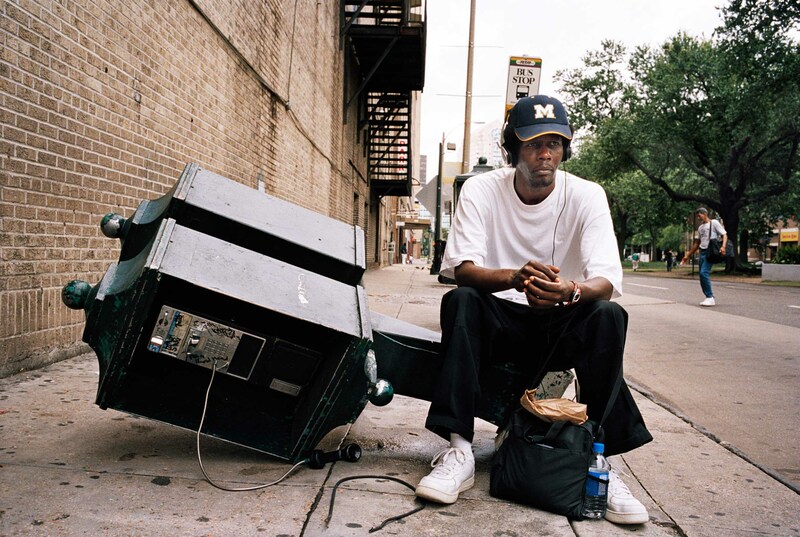 New Orleans, LA, USA, July 2007. 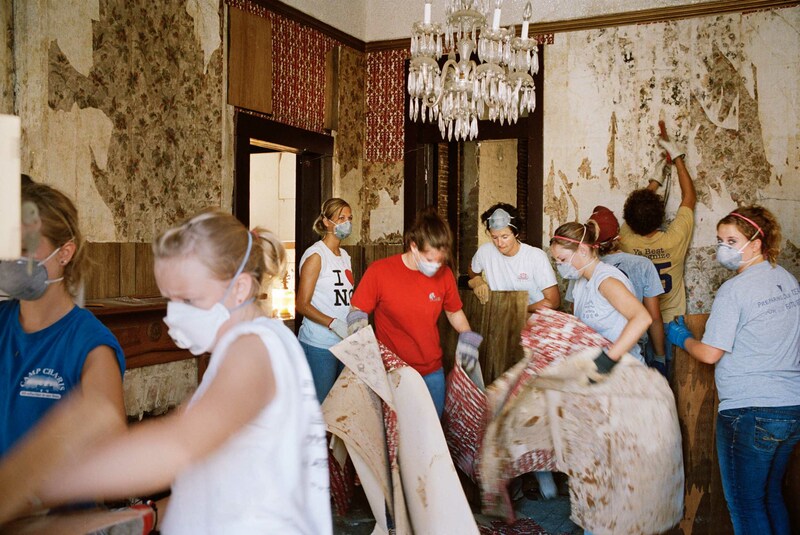 15 volonteers students from Nebraska and Florida from the Castle Rock Church rebuilt the Lewis Houses this retired couple have not enough income to afford the renovation, the insurance didn't pay and they are still waiting from the Road Home money. New Orleans, LA, USA, July 2007. New Orleans, LA, USA, July 2007. Near the center in one of the roughest place of the town. Violence, drug, unemployment push a lot the men to run away, the womens built a new and female family with the grand mother, mother, sister, aunt. New Orleans, LA, USA, July 2007. New Orleans, LA, USA, July 2007. 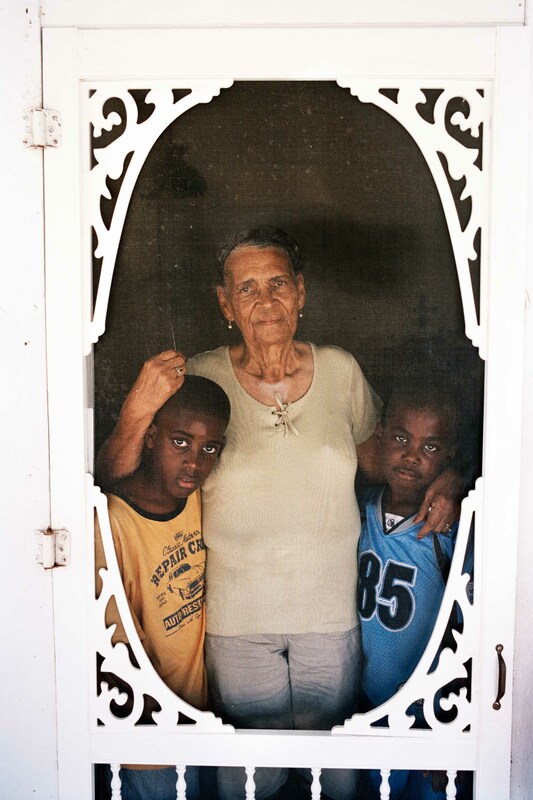 Vivian Wricks is raising alone her 6 grandchildrens. 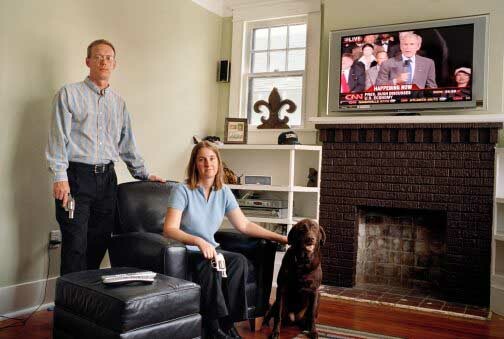 The Trinity Christian Church bought her house and rebuild it. She had a bad insurance as a majority of the black community. (68% of the population) New Orleans, LA, USA, July 2007. New Orleans, LA, USA, July 2007. 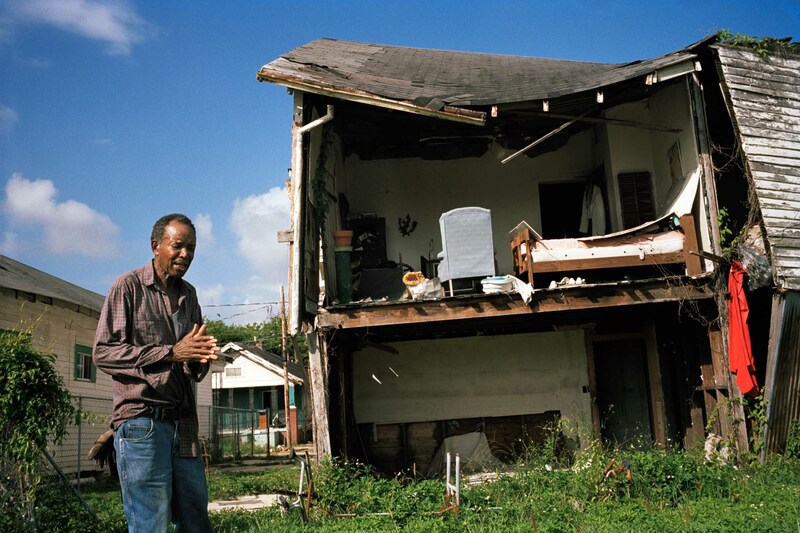 Since two years, Palazzo Simon and Wayne Alexis survive in the old trailer of his neighboor who died drown the first night of Katrina. His shower and toilet are outside. New Orleans, LA, USA, July 2007. New Orleans, LA, USA, July 2007. Jeffersons Gun and Outlet in Metairie. Since Katrina the insecurity is increasing by pourcent and more and more people decide to carry a gun. 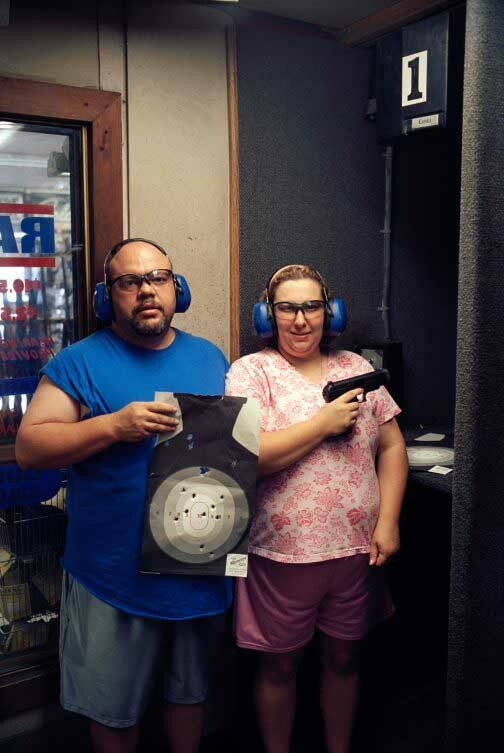 This man teach his wife how to shoot, for her selfdefense. New Orleans, LA, USA, July 2007. New Orleans, LA, USA, July 2007. 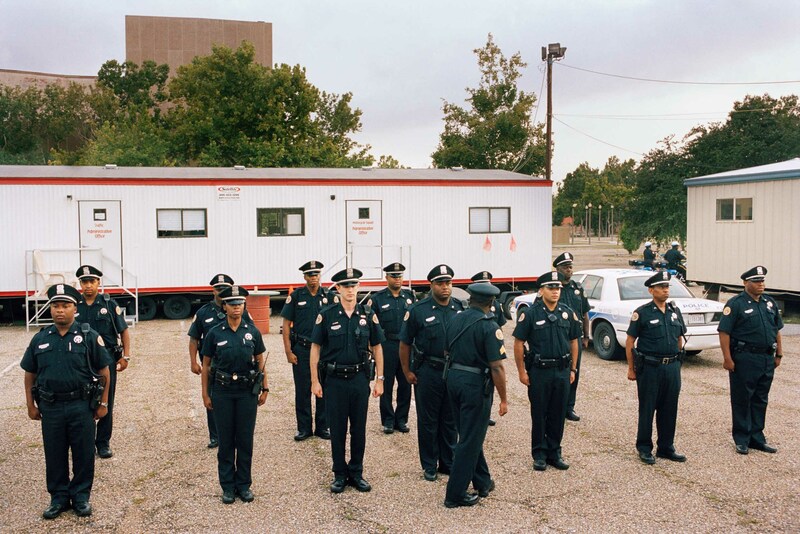 The Crime Abatment Team was created in October 2006 to stop an strong increasing of the criminality after Katrina. 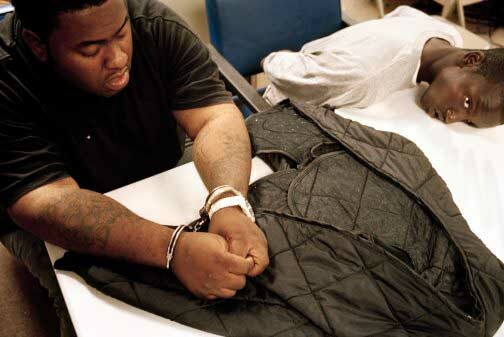 This two drug dealer where arrested in a bar and will end up in jail. New Orleans, LA, USA, July 2007. New Orleans, LA, USA, July 2007. None a Police department building have been rebuilt two years later, the policeman are working in FEMA trailer New Orleans, LA, USA, July 2007. New Orleans, LA, USA, July 2007. 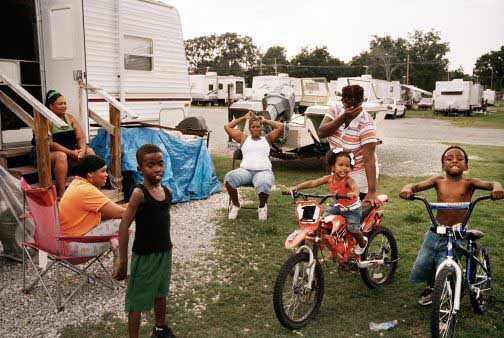 The Renaissance Village in Baker, near Baton Rouge, two hours from New Orleans, since two years more than 4 000 people are leaving in 650 FEMA trailers. The camp is under guard and it's forbiden to go outside after 8 PM. New Orleans, LA, USA, July 2007. New Orleans, LA, USA, July 2007. 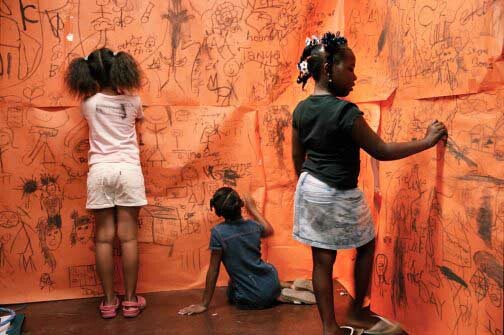 The Trinity Christian Church organize therapy art for children. A good way to express the stress post Katrina. New Orleans, LA, USA, July 2007. New Orleans, LA, USA, July 2007. 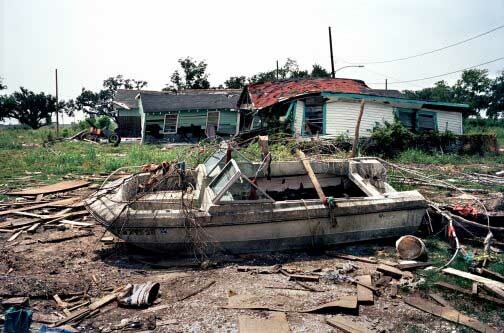 Katrina took away every thing, house, employment and hope. As the Florida law push you to renovate your house a majority of the poor had to sell it for nothing or where expropriate. New Orleans, LA, USA, July 2007. New Orleans, LA, USA, July 2007. 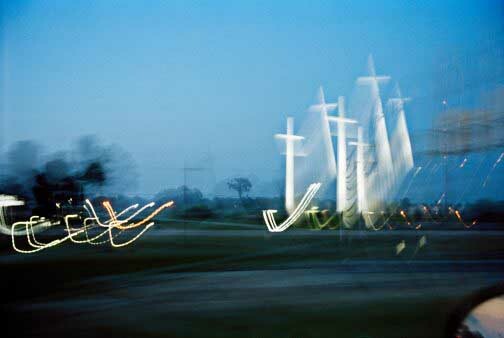 Religious monument. The church have probably been the only real help the population received. 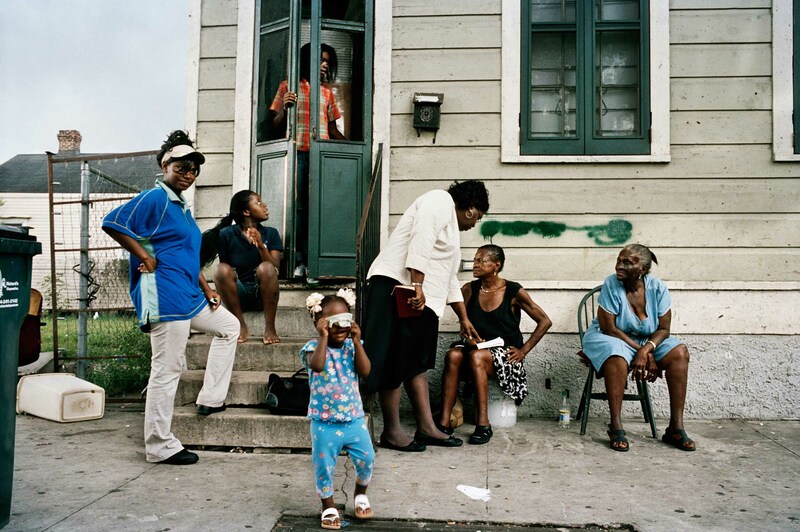 New Orleans, LA, USA, July 2007.